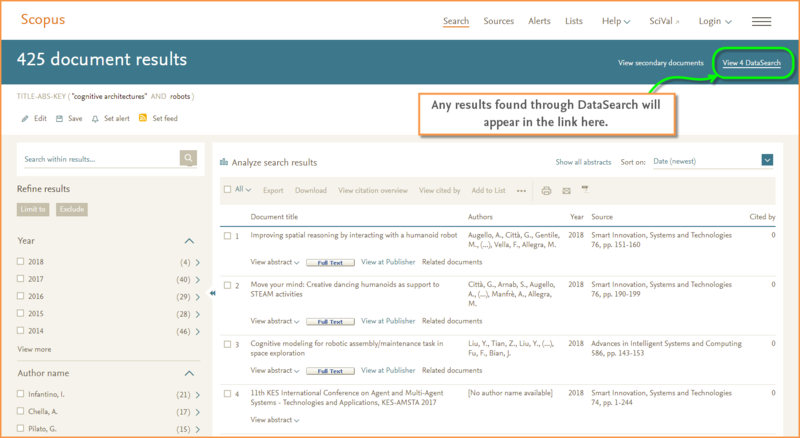 The new collaboration with DataSearch means that when you run a search in Scopus, the same search will concurrently run in DataSearch. 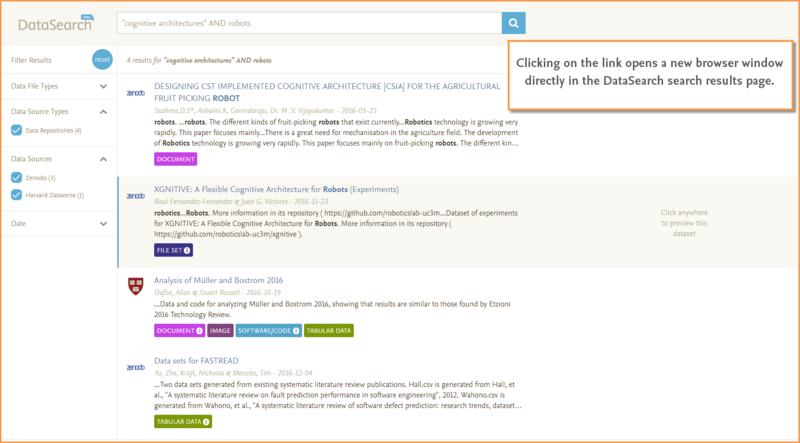 If any data results are found, you will find a link (listing the number of results found) on the Scopus search results page. Clicking on this link will open a new window in DataSearch. Both simple search and advance search are supported, but note that very complex searches may not return any results from DataSearch. 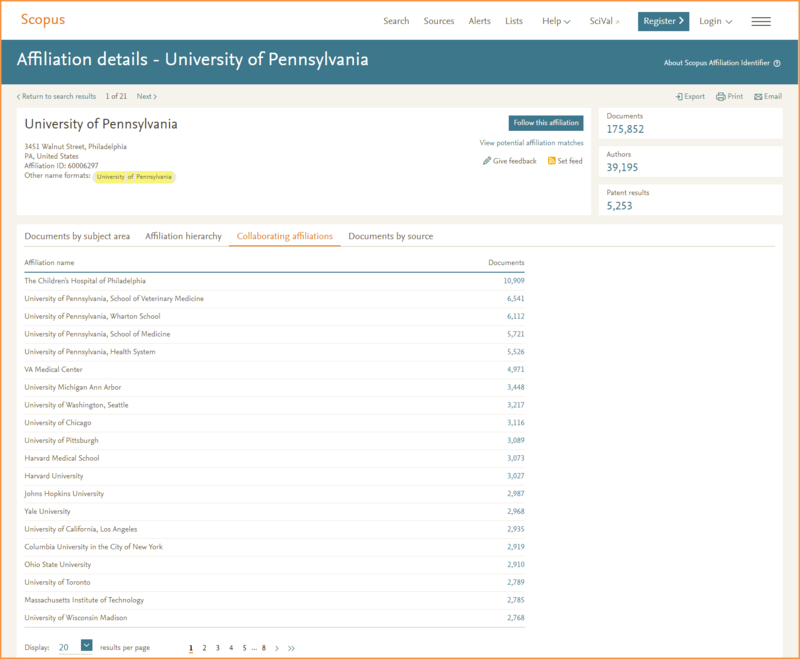 As an example, here’s how it looks on Scopus. 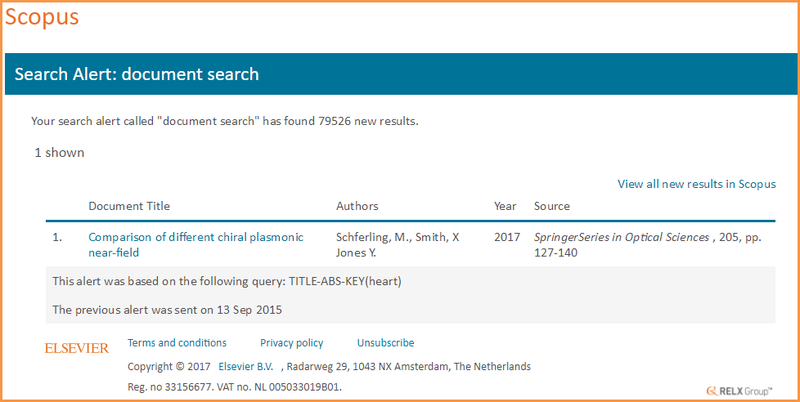 The first image shows the Scopus search results page with the DataSearch link appearing on the right-hand side of the blue bar. Clicking on the link opens the DataSearch search results page, as shown in the image below. The datasets and data types covered by DataSearch are listed below. By default, when arriving from Scopus, only Data Repositories are selected. DataSearch is also able to retrieve data associated to journal articles from a number of article based repository. If desired, go to the left bar to edit the DataSearch filters. 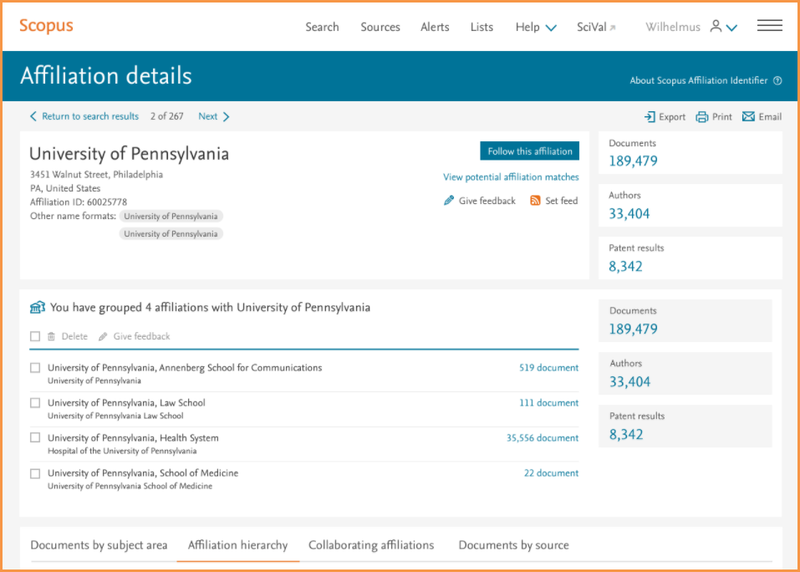 When searching and exploring an Affiliation page on Scopus, you will find the Affiliation has been organized differently and with an updated look and feel. This image provides a quick overview of the changes with corresponding callout information listed below. 5. 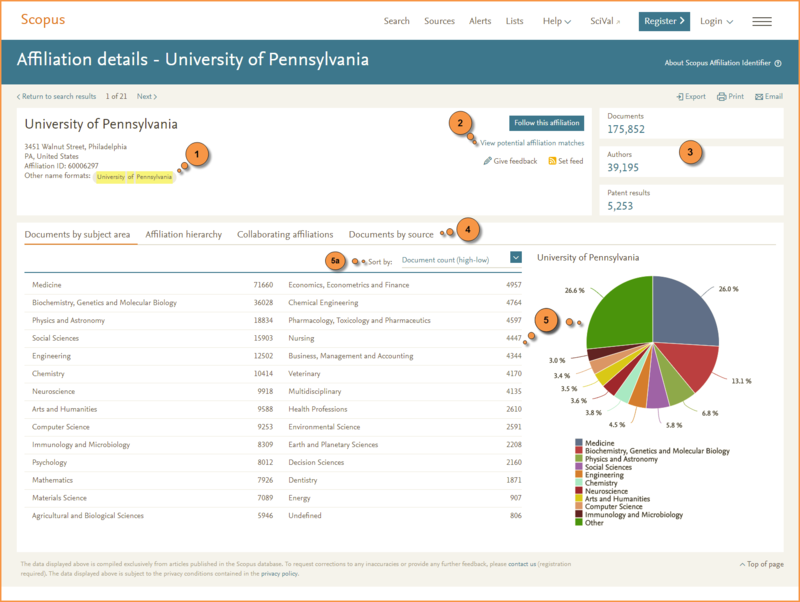 When the “Documents by subject area” tab is selected, the pie-chart and column information is displayed together under one tab. You can also use the new “Sort by” option (5a) to select how the table is displayed. 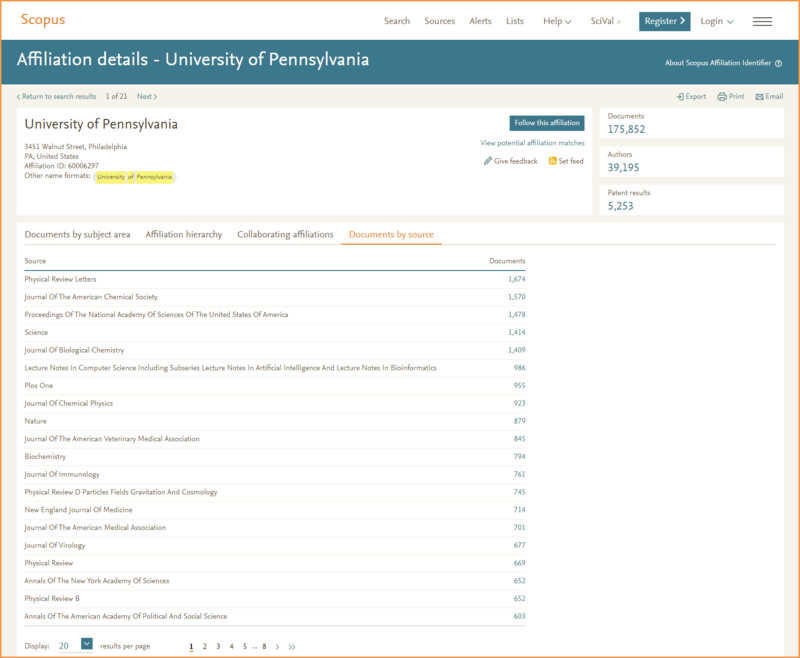 When relevant to an institution, the new “Affiliation hierarchy” tab will be displayed. This new tab provides views into multiple hierarchies that you can select and group with an affiliation if desired. Under the “Collaborating affiliations” tab, you will find affiliations are now sorted in a table by highest to lowest document count and pagination has been added for easier navigating. Under the “Documents by source” tab the list of sources are now in a table sorted by highest to lowest document count. You can use the “View potential affiliation matches” to group affiliations. The limit for grouping affiliations has been increased from 50 to 700 (note loading time may increase before page is refreshed). You will also notice that the total grouped affiliation section has been updated and is consistent with the top section of Affiliation details page. 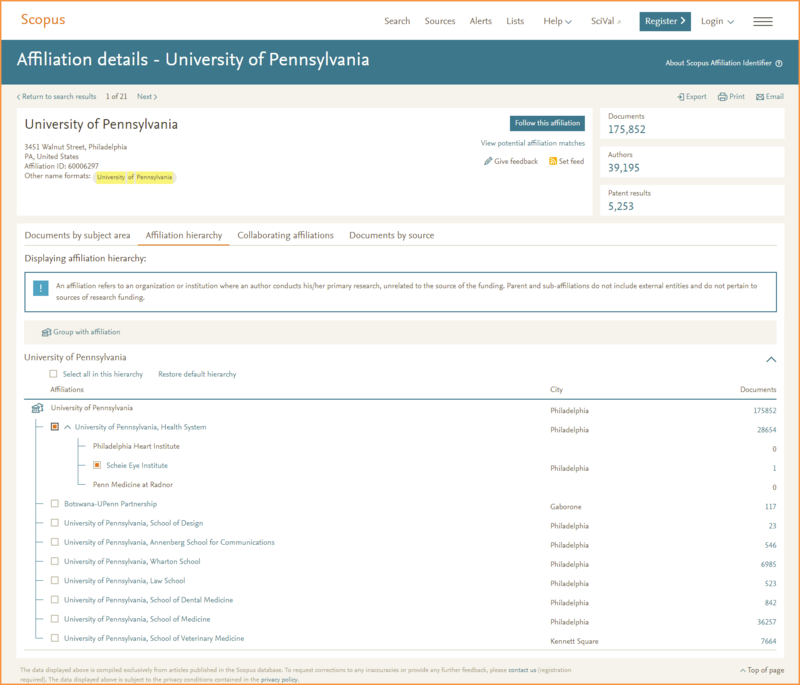 On October 2nd, Scopus alerts will migrate to a new system. What does this mean for alert recipients? After the migration your alerts will appear with a refreshed template, offering a cleaner look and feel. On October 2nd, the “edit” and “create” functions will be deactivated for less than 24 hours. You will still continue to receive alert emails, but will not be able to create new alerts or modify existing alerts for that window of time. A message box will appear on the alerts page to notify users of the brief downtime.